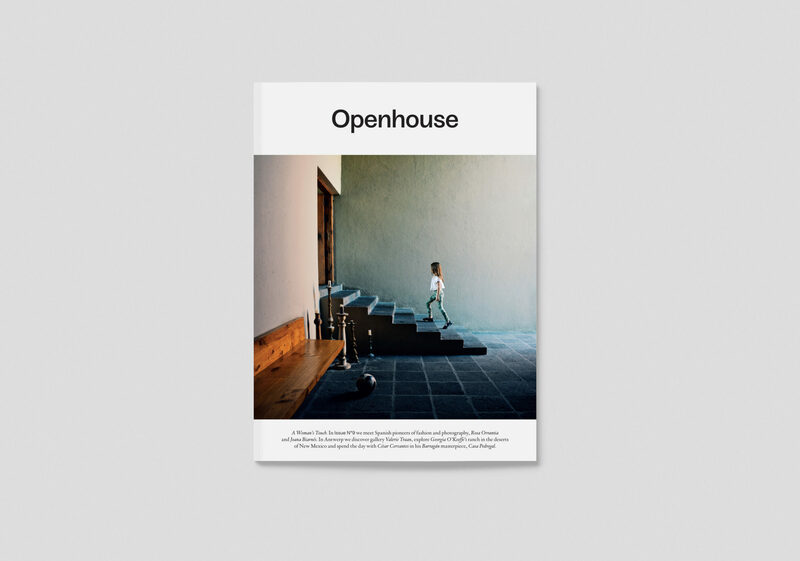 Openhouse is a biannual magazine and guide to creative people around the world who open their homes and private spaces to the public, in order to share cultural activities and experience life together. Printed magazines are no longer solely printed matter, they have become universes, brands, and creative agencies of their own. We’ve been following Andrew and Mariluz from Openhouse for a while now, and even though they had already turned Openhouse into an established brand, something was still missing to be able to bring Openhouse to the next level. In order to become a creative agency, the magazine needed a digital platform and online identity. We proudly present: Openhouse 9 and its newborn website. 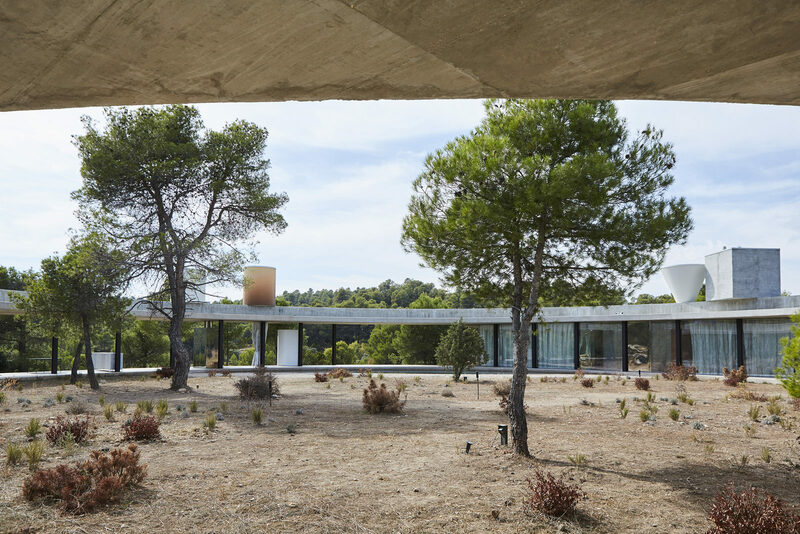 The new Openhouse, issue 9 will be presented at Fundació Mies van der Rohe, Barcelona on 26 May 2018. RSVP here. With Folch’s long history in editorial projects, we learned a magazine is never just a magazine. 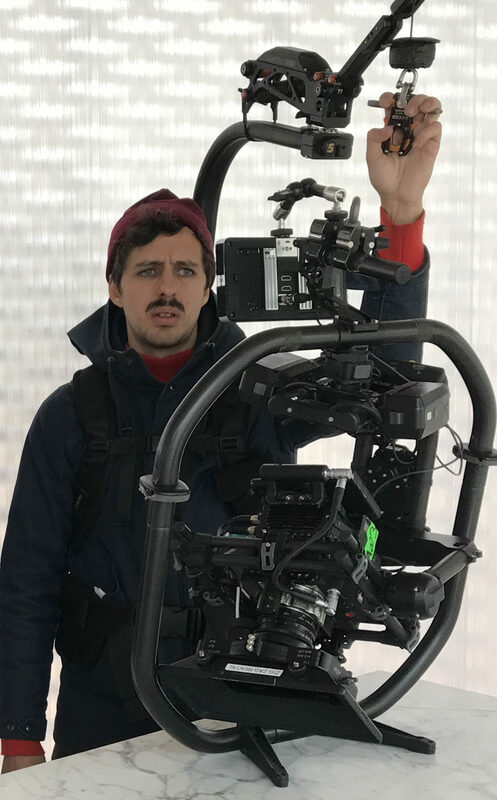 It’s a concept, capable of embodying a recognizable mood and set of values that are transportable to a range of different formats: video, digital content, photoshoots, events etc. It’s at this point that a magazine is able to grow into something bigger: a studio, an agency that helps brands to tell a certain story. For Openhouse we created a website that marked the start of just that. 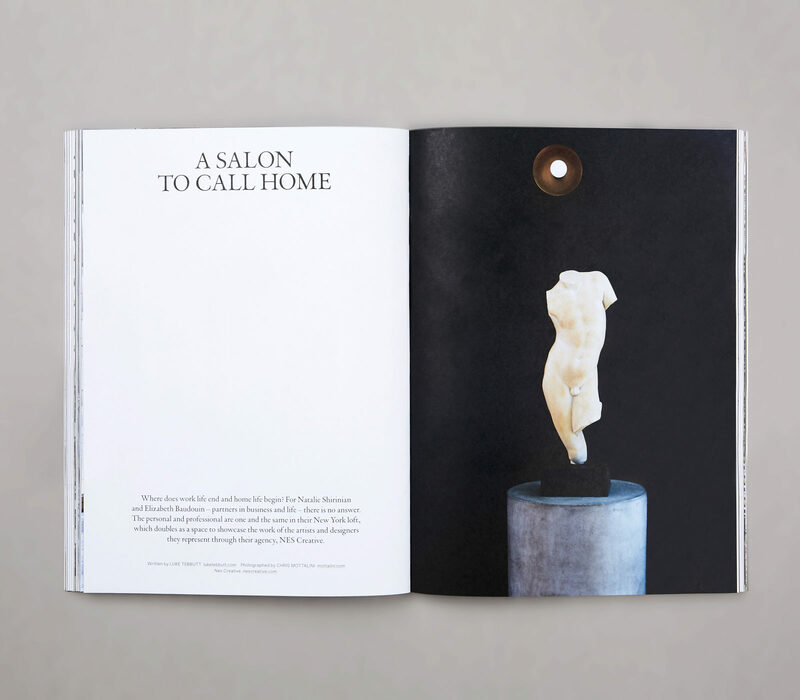 In the digital age, a website and social media have become key for a magazine to expand and fortify its editorial universe, opening space for new ways of showing and creating content that goes beyond what you can print. 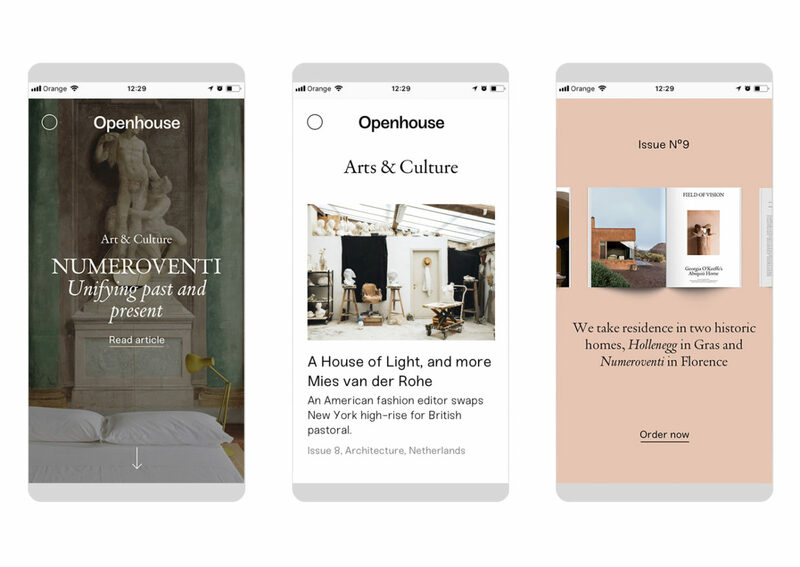 The Openhouse website is a digital platform designed for experimentation, with different templates adding new content: digital exclusive features, a video section and a webshop. Both house typographies can be used differently in every template, so every post can be adapted to the typology and character of each publication on the website. This idea brought to life the new “Brand Stories” section, a feature giving new value and meaning to the partners and advertisers of the magazine. A brand is a media and a media can turn into an agency. The limits of the boxes are disappearing, and from our point of view Openhouse has all the ingredients to turn into a studio. They were ready to be positioned as more than the classic magazine selling ads. In collaboration with production house White Horse, we developed a series of visual essays, narrating people’s relationships with architecture with a cinematographic approach. With the previous 8th edition of Openhouse, Episode I of the series was born. 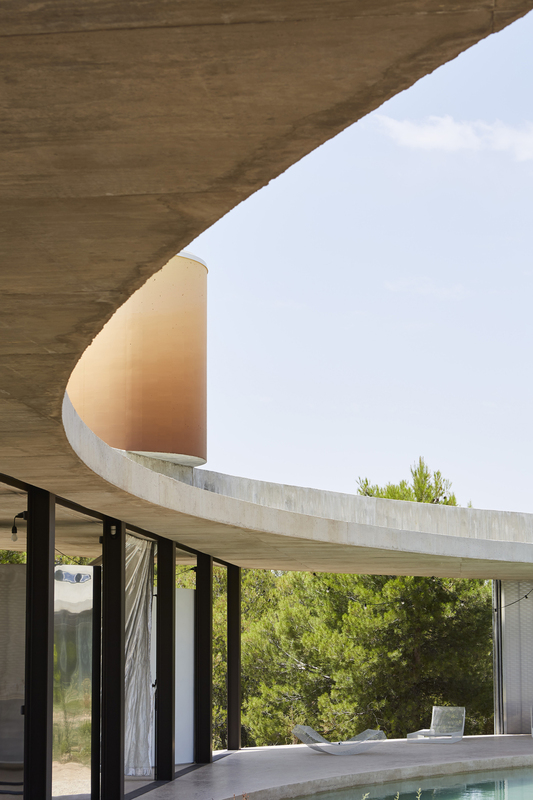 We named it “Around The Beehive”, an exploration of the Solo Office in Teruel (Spain) and a circular conversation between Christian Bourdais and Eva Albarrán from the Solo House project. 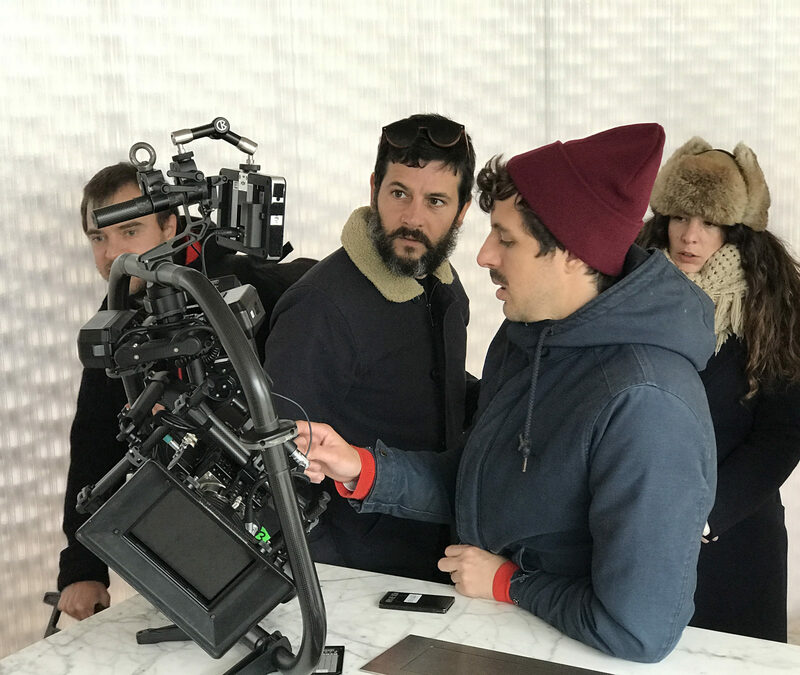 For the video, filmmaker Pol Gonzalez became inspired by the strange and isolated character of the building, incorporating a visual mood that reminds the viewer of a classic Hitchcock movie. We don’t live in the forest, we live with it. The house spans as far as the eye can see – whether we’re cooking, stretched out on the bed, or soaking in the tub in the master bathroom. 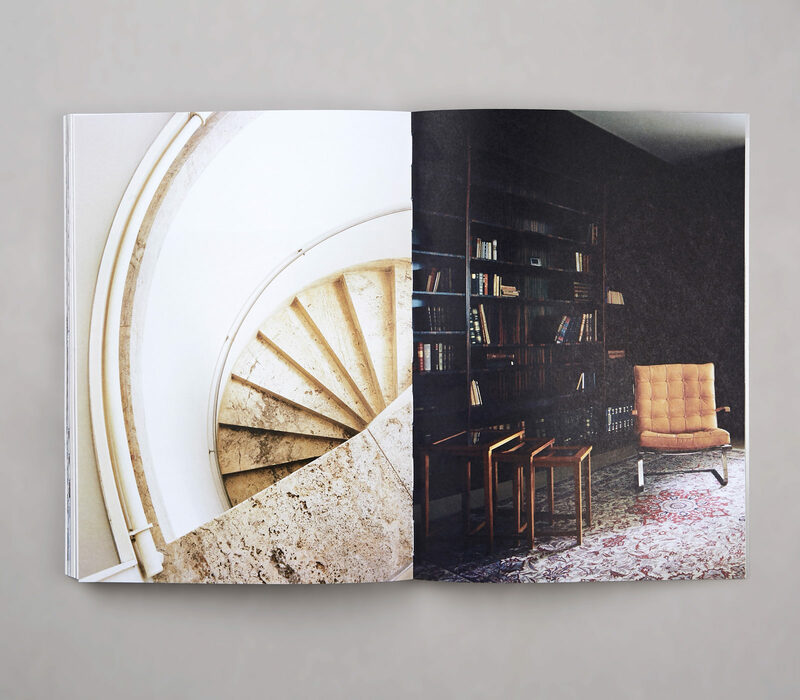 Printed magazines have become cherished objects for the home. They are meant to be read in tranquility, with slow content and beautiful imagery that inspires. To facilitate this moment for Openhouse we did a close investigation of the design and came up with a selection of small changes that would better the magazine without changing its voice. Because of Openhouse’s strong textual evocation, we did everything to enrich the reading experience, changing the fonts to a combination of the humanistic Sneak and the Dutch classic DTL Vandenkeere. 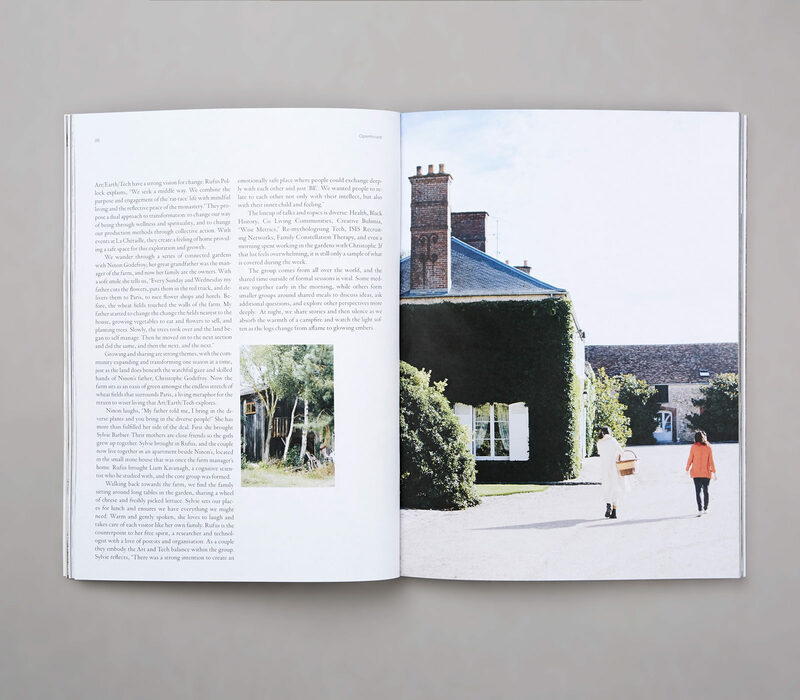 Text size grew slightly, consolidating the soft voice of the magazine, while sufficient white space was kept within a collection of new classic design structures that feel contemporary at the same time. “A magazine cover functions as a window into what will happen inside the publication”, said Albert Folch. Openhouse needed a more humanized art direction for the cover photo, reflecting the “The Life We Share” premise of the magazine. Working the typography, the Openhouse logo became more organic. The cover was adjusted looking at it as a unified whole in order to make the cover balanced, and thus more beautiful and commercially attractive. We also gave the magazine a new skin: a coated and embossed paper that becomes more human as it ages.